This Printable Chart would be perfect to put up in the restrooms/bathroom of your office, warehouse or other workplace. The Water Intake Chart is an instantly downloadable file. *Disclaimer: This guide is to be used for information purposes only. No medical diagnostics should be made with the use of this chart. 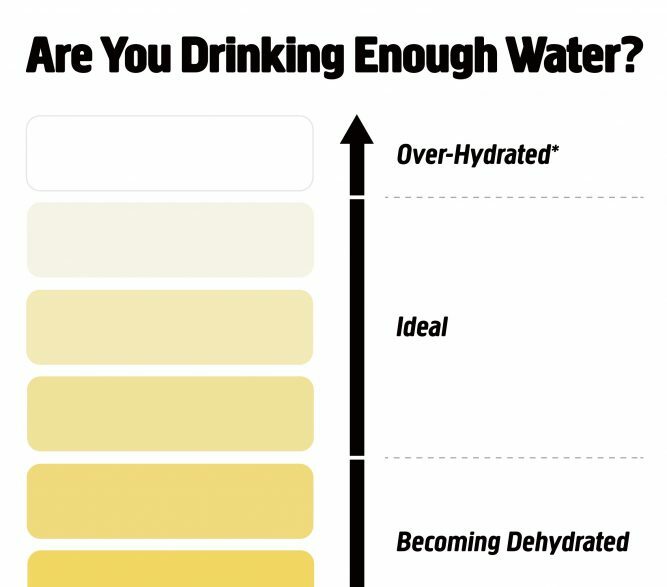 Seek medical advice by a qualified professional if you suspect you are becoming dehydrated. All the design file I provide are setup in professional CMYK mode. Printers use CMYK inks to produce printed products. Be aware that the Colors you see on screen (which are in RGB Color mode) may differ slightly to the printed product. This is due to different inks being used in various printers, as well as other factors. If you purchase a print which has large areas of color, it is recommended that you either use think/photo paper on your home printer, or send to Staples (for example) for printing. READ MORE HERE. 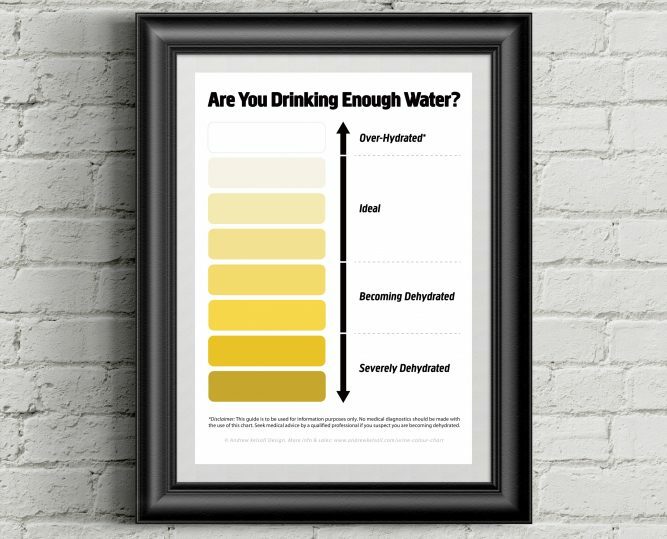 Further Information // “My Urine Colour Chart (Pee Colour Chart) Available to Download” // All the images shown within this post are © Copyright Andrew Kelsall Design. ★ If You liked this post, then please Share it across your Social Network 🙂 See also: Health and Safety Sign: Person Looking in this Mirror is Responsible for their Health & Safety.